Microsoft, a major software and technology corporation (as though you needed us to tell you that), has long promoted the idea of telework. Currently, their site has over 100 jobs that indicate “This Job is eligible for the following work arrangements: TeleWork.” Bear in mind, some positions are full-telecommute and will allow you to work from home all of the time. Others will be partial-telecommute (work from home some days, in the office on others), and will therefore require that you live in a particular location. 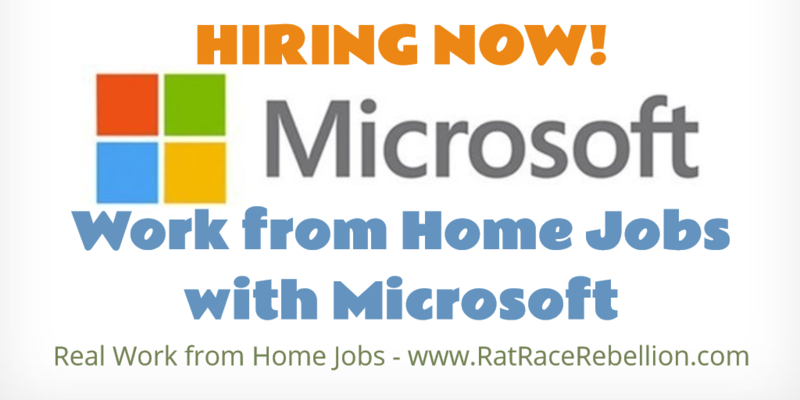 Click here to see the current telework job listings with Microsoft.